They are classy, they are less expensive than new ones and they are just as reliable. Besides, let’s face it, who needs a watch to keep time to the second these days? What watch can possibly be better than a classic wrist watch? Find your favourite style from the best designers of your choice and you never need to get bored again! One glance at your wrist is all it takes to spin your head with interesting thoughts. What was it like back in the day when this watch was assembled? Who worked at the factories and who bought this particular watch? 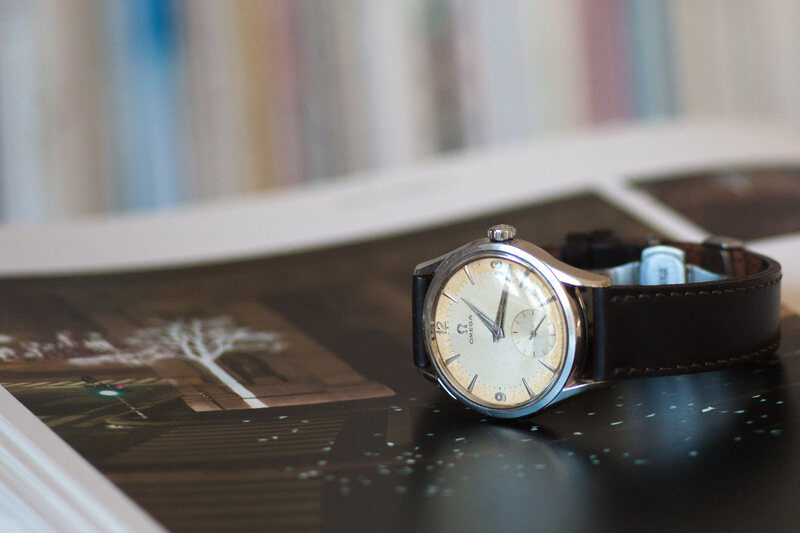 Wearing a vintage time piece is in practice to keep a tradition alive. An old watch is a live reminicense of the past and it bridges between past, present and future. We carry our ancestor’s wisdom, knowledge and even culture into new fashions and changing times. Very few artifacts act as a carriers of tradition in such an obvious way. The sensation of winding up your watch in the morning is another reason to look for the vintage mechanical watch. There is always time for this gesture and if you give it a little thought while you are at it, you may enjoy a filosophical moment to yourself. The fifties and sixties are sometimes referred to as The Golden Age of watchmaking. In these times quality was the most important factor in many manufacturing industries. Since the beginning of the industrial revolution, quality was as an important a factor as efficiancy. After World War two, every nation did it’s best to re-establish prosperity and wellfare. Things were to be better than ever, and for the wrist watches this led to some amazing time pieces. 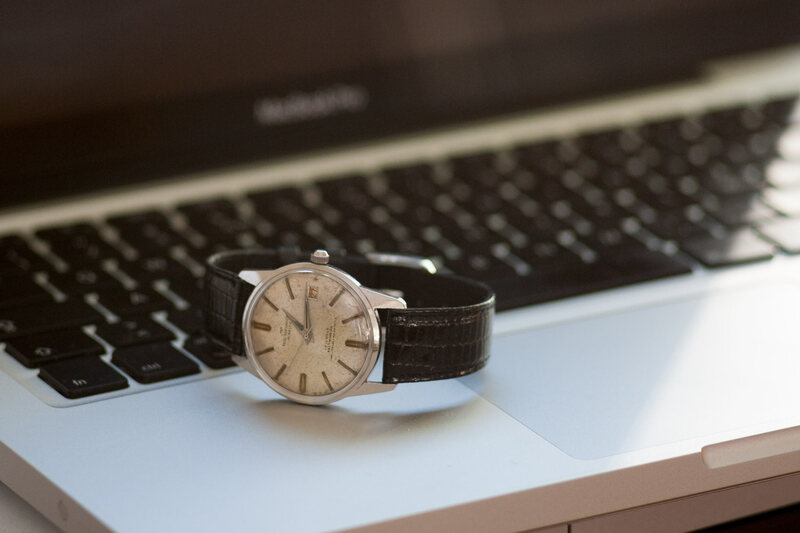 Even if the watches tend to be fairly uniform in style, there is no need to look for the top brands to get an excellent time keeper from this era. A great example is this Certina DS. 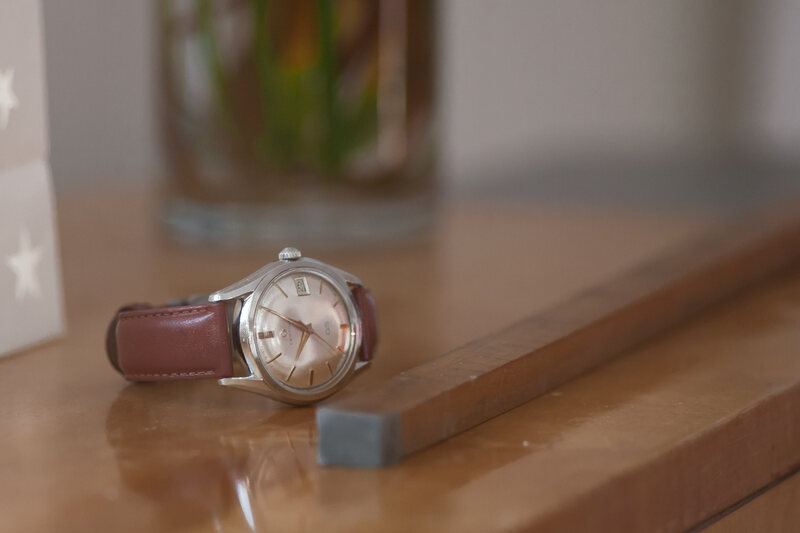 With an in-house movement Kurth Frères, the makers of Certina, put tremendous efforts into the development of reliable movements second to none, really. Furthermore they placed a chunky 2.4mm rubber ring around it, clutching the movement within the watch case. Certina’s aim was clearly to acheive recognition for their quality. My next example is the Paul Portinoux picured below. Like a lot of other more or less known Swiss watch brands, and by the time this one saw the light of day, Paul Portinoux were no longer making their own movements. Here we find an ETA 2472 caliber automatic movement, a well built reliable movement still going strong. Mind you, the hair spring on this particular one is fading, thus running uneven. Still, to quote Tom Waits; “Ain’t nothing wrong with her a hundered dollars won’t fix”. The dial is tarnished and the crown is wrong for the case but the band and the crystal is new, and the watch carries it’s age with great dignity. It cost me about USD 30 on ebay and a few hours work to get it working for another five to seven years. With a beating rate of 18 000 a/h, this old friend even ticks like a pensioned seaman, full of stories and in no hurry what so ever to tell them. My third proud ambssador from the mid fifties is the Omega featured in the headline. Well I guess Omega needs no further introduction, and this is reflected in the ample amount of watches available as well as their prices, 100-1000% above the less sought after vintage watches. And not without reason. Featuring a very reliable Breguet hair spring and a robust movement, not to mention the design. The movement had been thoroghly tested and tried through several decades by the time they were named caliber 265 through 269, the 284 and 285. The eighty series have center second hands whereas the sixty series all have a small sub second dial placed at six on the dial. These too are blessed with the slow 18k pace. Omega have been humble and true to this success and are still looking back to the vintage collection when designing new faces. In today’s Seamasters there are clear references to the first models from and before the golden age. Not to mention the Speedmaster which still is almost unchanged since 1957 and still as popular as ever! On the whole I dare say that Omega mastered the design very well and still do. Looking at most watches then and now, there are often a few details disturbing the cleanliness or the neatness of a case, dial and hands. This is about esthetics, I know. There are few concrete rules or facts, but still I will claim that the majority of these classic Omegas radiate a calmness you only see when all the elements present work together to form a perfect look. So, the next time you consider digging deep into your pockets for that latest technology wrist watch, take a deep breath and a good look at the vintage collection available. I promise you will be charmed by patina, ruggedness, reliability and, sometimes, price. And you get to carry a piece of history with you, just like an old uncle, following, making sure you are behaving right. Your cell phone keeps track of time. All you need to do is enjoy your fine time piece!